I guess I know a lot of people. But still. The outpouring of joy and wonder and animated-balloon congratulations from every single corner of my life, for me and for Juana Martinez-Neal—for both of us—from writers, illustrators, agency mates and publishing people, from librarians and educators, dear, dear friends (I won’t say old friends, Diana, or older still, Kim…) and brand-new friends, from the Writers’ Lofters and Whispering Pinecones, the NESCBWIers and the Winthrop Farm-ers, from the stalwart Girl Scout Moms and my kids’ grown-up childhood friends, hometown neighbors and college classmates, and of course, from those I love best— my husband, my children, my family. So here it is. The long-awaited dream is almost in the world. Behold…BABYMOON. Available everywhere April 2, 2019 or preorder now from indiebound.org or Amazon.com. I’ve been carrying BABYMOON in my heart and hopes for years and years. From early on, others helped me bear the burden—my husband and children , family, friends, and critique partners. Would it get its chance? Would it find a way to people in need of its gentle, restful, encouraging message? Then came a miracle. A dream of a literary agent, Ammi-Joan Paquette, stepped in, shouldered the BABYMOON bundle, and headed off to the marketplace. Before long, she found an amazing editor for my itty-bitty (but surprisingly weighty!) manuscript. 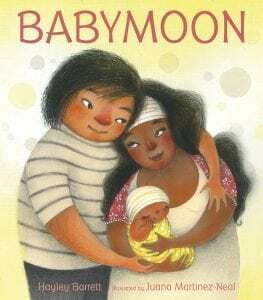 A short while and a good bit of revision later, Candlewick Press‘s Mary Lee Donovan paired BABYMOON and me with a brilliant, insightful, accomplished illustrator, Juana Martinez-Neal. My questions began to be answered, and my bookish burden was now shared by many. 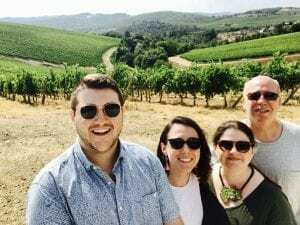 BABYMOON had a team, and we pulled together in earnest. Sleepless nights are nothing new for me, but tonight is different. Tonight I’m awake not because of wonder or work or worry, but because I’m awaiting the arrival of a new creation. Tomorrow, BABYMOON will show its face to the world for the very first time and take a big step toward becoming what it was meant to be. Now I know it will get its chance. Hopefully, it will find the people who need it. Wednesday, August 22nd will be here in a few short hours, and I’m sure, so very sure, BABYMOON will be worth the weight and the wait. See you in the morning. Find BABYMOON’s cover reveal on author-blogger Mia Wenjen’s website, pragmaticmom.com. Yesterday, I posted here for the first time in over a year. 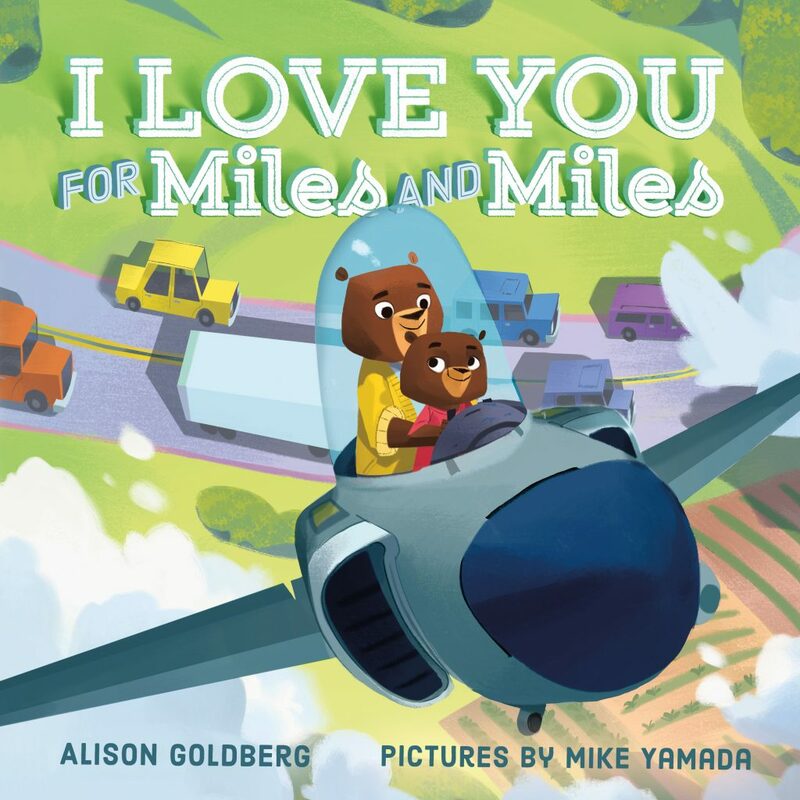 I was lucky to get to announce my friend Alison Goldberg’s cover reveal for her upcoming picture book I LOVE YOU FOR MILES AND MILES. This morning, I’m scrolling back through all the supportive comments, the happy tweets and retweets, the Facebook joy and many shares of this important moment in Alison’s life and career. And once again, I see our community for what it is—a spring. A spring of unparalleled beauty, sparkling, life-giving, earth-quenching. A rushing source of courage and creativity and optimism, of belief in the value and potential of our young ones, of conviction that story matters and can make a vital difference. I LOVE YOU FOR MILES AND MILES, like my BABYMOON and so many others, is a “love” book. It’s meant to invite moments of simple enjoyment between children and those who care for them, to help them snuggle, share a giggle, or dream of adventures. Books like this knit relationships together in warmth and safety. But they do something more too. They nourish children with the good food of rich language, of deep caring, of a world that makes sense. Just because junk food exists—or deadly poison, for that matter—doesn’t mean it should be given to children. Junk—like cheap, thoughtless language. Or poison—like hatred, evil, violence. There is no way to permanently protect children from these things, of course, and some never have a moment of peace between their first breath and the terrors of the world. But some do. I have to believe that if these young people are filled with good food, they will grow strong and happy. They will not be satisfied with junk or tempted by poison. They will have drunk from the spring of love, and that is permanent. It changes them. It makes them who they are meant to be, and we all need that. The whole world needs it. So write the love books. Publish the love books. Fill our homes and libraries, shelters, schools, and park benches with them. And if you have the chance, pull a young one close and read one to them. Nourish them with laughter and hope. Encourage them to believe that a better world can exist. Because it can, and with their help and ours, it will. Alison, this is so exciting! I’ve watched this book transform from an idea to a manuscript. Now it’s almost a real book. How did you first get the idea? Between the ages of two to four, my son was deep into trucks. My daughter loved building complicated train tracks. We lived and breathed vehicles for a few years. The bedtime game, “How much do you love me?” turned into a comparison of the size, strength, and length of all things that go. After many nights of coming up with these examples for my own children, I thought this could be a fun take on a love book. I LOVE YOU FOR MILES AND MILES is *perfect* for children who love trucks, boats, planes, and trains! It’s sure to be a favorite of caregivers too, with enough heart to make story time a sweet, snuggly experience again and again. With no further ado, here’s the gorgeous cover! What did you think when you first saw the cover, Alison? I was absolutely thrilled! There is so much movement and so much sweetness in Mike Yamada’s illustrations. The perspective of the plane flying toward the reader is incredible. And I love those bears! I especially like how I LOVE YOU FOR MILES AND MILES offers readers—both child and adult—the profound reassurance that, “Love can be stronger than the strongest excavator” and “steadier than the steadiest tugboat.” I can’t wait to preorder it and share it with the trucks-and-trains kids in my life. So, do you have any advice for new picture book writers? Also, finding critique partners to share the challenges and the joys of this process is so important. When you go to classes, conferences, or events, don’t be shy about approaching people. 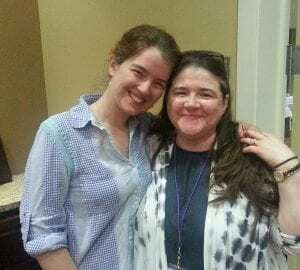 Hayley, we met in NYC at a SCBWI conference, even though we both live in the Boston area. I remember hearing you read a fabulous picture book manuscript at a roundtable and thinking, I need to connect with her! I remember feeling the exact same way at the time, and now here we are! Congratulations, my friend! Alison Goldberg is based in Cambridge, Massachusetts. Before becoming a children’s book author, Alison worked for economic justice organizations and wrote a resource guide about social change philanthropy. 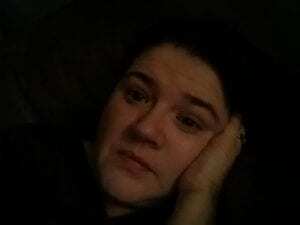 These days, she blogs about activism in children’s literature and loves researching everything from marine life to contemporary art for her books. 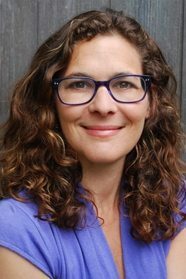 Alison is also a board member of the Food Research and Action Center, an organization committed to ending hunger in the United States. 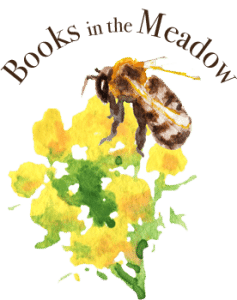 Alison participates in Picture the Books, a group of picture book creators with 2017 debuts and is a member of The Writers’ Loft (thewritersloft.org) in Sherborn, MA. She is represented by Kathleen Rushall of Andrea Brown Literary Agency. Learn more about Alison and I LOVE YOU FOR MILES AND MILES at www.alisongoldberg.com or on Twitter @alisongoldberg. When we were newlyweds, my husband and I liked to visit antique shops and buy old, beautifully bound books. We imagined they’d someday grace bookshelves flanking a cozy fireplace, perched there in inviting repose, waiting to be enjoyed by fresh eyes. I had only one slightly snobbish rule as we shopped: Any book we considered had to be something I might read. No matter how gorgeously gilded or skillfully stamped, no matter how many leaves of glassine paper protected the color-plate illustrations, a book couldn’t be merely for show. Whether the subject was beekeeping or Women of The Bible (a huge book by Harriet Beecher Stowe), I had to be able to see myself actually opening it. One of the ones I most clearly remembering buying was a red leather-bound copy of a book with an evocative title, EVANGELINE. It was the work of poet William Wadsworth Longfellow. I never cracked it open. Years passed. We moved and we moved and we moved and the books came along with us. I’m sorry to say they live in boxes still and never found their cozy shelves. Not yet, anyway. Recently, we took a vacation to Cape Breton, Nova Scotia. After we passed over the Canso Causeway, I began to notice roadside signs advertising that we were traveling on The Evangeline Trail. I did a quick search and was delighted to find that the little red book in a basement box was the tragic tale of a Acadian girl and her lost love. I bought a paperback copy at the next bookshop. The details in Longfellow’s story of the land and the people made our drive very pleasant. We traveled through Evangeline’s green and lovely village of Grand-Pré, now home to quite a posh winery. We saw the Minas Basin and the grand height of Blomidon off in the distance. The lush fields were protected by earthen dykes, just as in the story. I could imagine Evangeline’s plight as she and her neighbors were driven off by British soldiers as their pastoral homes burned. I won’t spoil the rest of the story. You should read it for yourself. When we arrived in the far north of Cape Breton, not far from the Highlands National Park, I bought another local favorite, Joyce Barkhouse’s 1990 middle grade novel, PIT PONY. The book was seamed with coal-mining drama and wrapped in the warmth of a tight-knit Cape Breton community. The story of Ben, an 11 year-old boy forced to become his family’s breadwinner after an accident disables both father and brother, is reminiscent of the classic book-turned-movie HOW GREEN WAS MY VALLEY. The pony of the tale is Gem, a horse brought from Sable Island to work in the pits. Ben and Gem develop a loving relationship and come to depend on one another for their very lives. Once again, no spoilers here. What I’d like to say is this: When you travel, be a loca-lex. Like a locavore, devour the native literary produce. Seek out books born of the place and treat yourself to a deeper, richer travel experience. Fiction, nonfiction, poetry, and more are paths to understanding and appreciating the human experience of life in a certain environment and time. Both EVANGELINE and PIT PONY gave me a perspective on of Cape Breton’s history and culture that a travel guide could never match. I think I’ll go find that little red copy of Evangeline and bring her upstairs, where she belongs. You’re doing it. Maybe you’ve meant to for a long while. Maybe it was a New Year’s resolution. Maybe you’ve just learned that a professional organization for children’s literature exists and you want to check it out. At any rate, you’ve decided to attend your first SCBWI conference. The conference I know best is hosted by the New England chapter of SCBWI, or NESCBWI. Don’t try to say it. Just. Don’t. Anyway, NESCBWI is the largest regional conference in the country. Attendees are mostly from the New England states but not exclusively. Last year’s conference had visitors from Tennessee and South Dakota, if I remember correctly, and bookish people like editors, agents, and art directors come from all over. 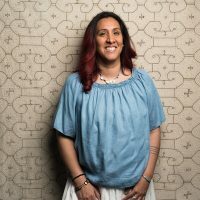 Prominent writers and others in the business swoop in from NYC, California, and even abroad to offer workshops, participate in panel discussions, and deliver keynotes. None of this is free. Conferences, even regional ones, are expensive. You want to make the most of it and to help you do just that, I’ve assembled a list of tips. They are in sort-of alphabetical order. Know a good tip for K? Q? Feel free to chime in! A is for Attire—Attire at conferences tends to the casual side of professional. Think spiffy and stylish but not fancy. Layers are a good idea. Why? The temperature varies from room to room. You’ll be sitting for long periods and then quickly moving between workshop rooms. Consider comfortable shoes. If feasible for you, taking the stairs is much quicker than waiting for a crowded elevator. You’ll bless me for suggesting you forgo the stilettos. B is for Business cards—A must. There are lots of low-cost options. If you can, have them printed well before the conference to make sure they are correct and legible. Be sure to include all of your contact info including your (possibly brand-new) Twitter handle. C is for Critiques—You’ll have to pay for these, so be smart and prepare your manuscript and/or portfolio ahead of time. These opportunities fill up fast and if you’re not ready to submit your stuff right away, you might miss your chance. Read the directions carefully so you’ll know what to do. D is for Dog—Tons of children’s books are about dogs. They are universally beloved. E is for Etiquette—The children’s literature world is a small one. Very small. Everyone knows everyone and no matter how excited you are to reveal your work to a waiting world, you must not follow an agent or editor into the restroom and pitch it. You are a professional. Act like one. Speech over. F is for Food—Give a thought to food, especially if you have particular dietary limitations. Conference organizers do their best to please the crowd but can’t possibly attend to every need. Familiarize yourself with which meals are offered by the conference and which meals are not. Conferencing is hungry work and room service is pricey. Bring healthy snacks. Will your room have a fridge? If so, hooray! Make any necessary dinner reservations in advance. Include an extra spot or two to allow for serendipity. You’ll be meeting new people and they’d probably love to join you for dinner. G is for Giraffe—Fewer books are about giraffes but they are still perfectly nice animals. H is for Hotel—If you plan to attend all or most of the conference, you’ll need a hotel room. Reserve yours right away as conferences frequently sell out. There are good reasons to stay on-site. First of all, a lot of the meeting-and-greeting at a conference happens in the hallways and elevators. The fun doesn’t end when the last workshop is over. There are social events of all kinds at night. Open mic readings, illustration challenges, regional meet-ups where you can make solid connections, and quiet rooms for visiting. Here’s another truth: conferences are tiring. You’ll be glad to have a retreat when there’s a break in your schedule or when you simply need some alone time. Many writers also try to squeeze in some writing. One last thing: If you’d like to save some serious money, consider arranging to split a room with another conference attendee. H is also for Homework—Please do your homework! Workshop presenters and keynotes are announced ahead of time for a reason. Look up people and their work. Read some of the writers’ work, if you can. Check out illustrators’ galleries (hello, Pinterest!) and study agent bios. You’ll get a lot more out of the conference if you do. I is for Introvert—Lots of creative, bookish people are introverts. They are also super-friendly and welcoming. Say hello. Ask to join a lunch table. Whether you’re an introvert, and extrovert, or in-between-vert, you’ll be glad you did. N is for Nametag. Wear it for the whole weekend. You never know who’s sitting next to you. R is for Registration—Once again, be ready. Look at the workshops ahead of time so you can make quick choices. Popular ones fill fast so be sure to know your second and third choices. Know your SCBWI membership number to get the member rate. You do not HAVE to attend each and every workshop period. Maybe you’d like to get some rest (see R) or wander the bookstore. That’s perfectly okay. R is also for Rest—Don’t be afraid to take a break now and then. Take a careful look at your schedule for appropriate break times. Drink some water. Breathe. You’re doing great! S is for Social media—such as Twitter, Facebook, Tumblr, and Pinterest. At a minimum, I suggest you get a Twitter account. It is an easy and professional way to stay connected with your new colleagues after the conference and to learn about others in the field. Make sure you put your Twitter handle on your business card. If you have old business cards, take a few minutes and jot your Twitter handle on the back. Follow the people you meet. Facebook is trickier for some, especially teachers and others involved in the care of young children, but consider signing up for an account. You can keep it exclusively for professional contacts if you like. It’s an easy and fun way to get to know people on a more personal basis and there are lots of relevant writing and illustrating groups to explore. Tumbler, Pinterest, Instagram, and others are rich resources for writers and illustrators. Check them out. V is for Victory. V is also for Volunteer. I beseech you to volunteer. Most of the jobs are easy-peasy and take little or no time out of your conference. It is the quickest (and most appreciated) way to feel like you belong. I guarantee you’ll learn at least one person’s name and feel that much more at home. Y is for Yellow. Illustrators love yellow. Me too. Z is for Zzzz… You’ll need it after the conference to get ready for next year. If you are serious about your work—your writing, your illustration, your craft— you owe it to yourself to join SCBWI and attend a conference. You’ll find your people there. See you soon. I won’t borrow a book from you. If you absolutely, positively insist, I’ll accept your book and take it home. Once home, I’ll stash it somewhere until I can get my own copy. Then I’ll return yours. Why? Because I love to destroy books. That’s putting it too strongly. What I mean is this: If I love a book, it shows. Spaghetti sauce stains. Cocoa dust. Bits of paper tucked in here and there. I read while I cook, while I eat, and while I shower. That’s right. In. The. Shower. I am an all-terrain reader. In college, I took a one-day class on book restoration. It was fascinating. I loved to handle the old books with their embossed leather bindings and gilded edges. They were beautiful and worthy of painstaking preservation. They would not, however, lend themselves to my habit of of reading-while-doing. I think kids need books they can destroy. Books that can be chewed, scribbled in, left outside, loved. They need books that belong to them. If books are always owned by someone else–an adult, a school, a library–the reader is compelled to think of the preservation of the object as well as the enjoyment of the content. That’s okay sometimes. It’s not okay all the time. Take it from me, the shower reader. Let your kids take their books in the rain, under the sprinkler, into the tub. 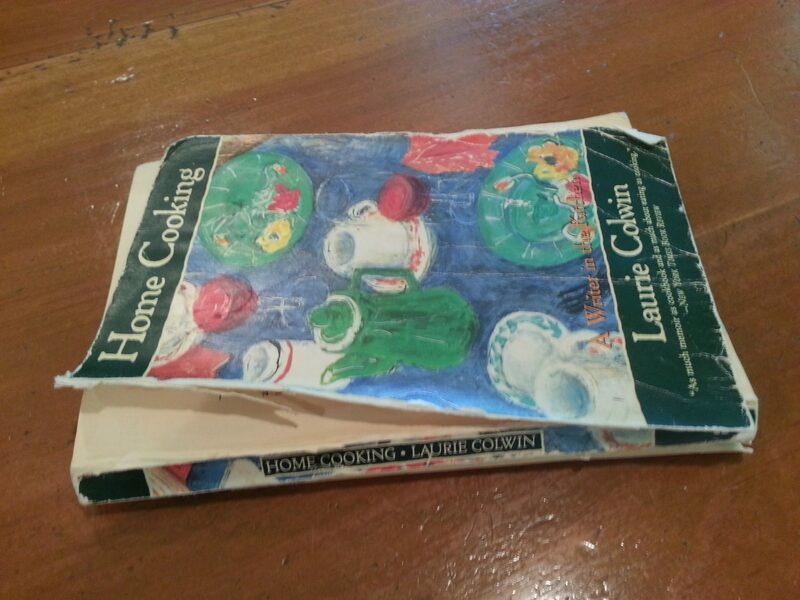 Books are durable. A dousing of water won’t hurt and usually improves them. The book will dry out and the ruffled pages will be even easier to read. Some people prefer to focus on one book at a time. I like to have a few going. I generally have The Book, a new one that’s my primary read, and an assortment of also-reads. Also-reads are books I’ve read and enjoyed before or books that are rollicking reading romps. I trust them and look to them for pure literary pleasure. My big-B Book at the moment is Tara Sullivan’s GOLDEN BOY. It’s about a Tanzanian boy with albinism named Habo. Because of his unusual coloration, Habo’s life is in mortal danger. Peddlers of magical charms are after his skin, hair, and other body parts to sell to those looking to ward off evil and acquire luck. This book is in turns gripping and horrifying. I’m about halfway through. My also-read is Susan Branch’s newest, entitled A FINE ROMANCE–FALLING IN LOVE WITH THE ENGLISH COUNTRYSIDE. It is a delight, full of all the things I love. Travel, England, Beatrix Potter, Jane Austen, tea, scones, and gobs and gobs of clotted cream. Like all of her works, it’s a beautiful book, handwritten and adorned with tiny, pretty watercolors. It even has a red ribbon bookmark. What more could I want? Summer is a great time for also-reads. I encourage you to leave books lying around. Old favorites. New and exciting temptations. Leave them where they can be sampled, nibbled, savored for a minute or an hour. Leave them in the bathroom, next to the kitchen sink, near the laundry waiting to be folded. There is always time to read, if there is something to read close at hand. If you have to look, you’ll likely to find something other than a book that will catch your attention. This summer, it’s time for me to dip into Elizabeth Wein’s brilliant CODE NAME VERITY again. I expect I’ll also give Erin Dionne’s MOXIE AND THE ART OF RULE BREAKING another go. Of course, there is always my very favorite, Anna Sewall’s masterful Victorian guilt trip, BLACK BEAUTY. That one’s never far from me. As for parents who wish to cultivate well-read children, they should valiantly resist the urge to tuck books away on shelves. Out of sight and hard to find? Almost surely out of mind. I dream of illustrators. I drift in reveries of soft-focus pastels. I wonder about the mysteries of charcoal drawings in grays and blacks. I hardly dare to hope for cut paper. Will my illustrator prefer realism? Or will my illustrator be funny and cartoonish? Will they understand the real me? When I tell people I write picture books, I get one of two questions right out of the gate. It’s either, “Are you published yet?” or “Do you illustrate your own work?” My answer, as of today, is easy. No and no. It feels a lot like when your well-intentioned grandmother asks if you are seeing anyone special. “Thanks, Gramma, but no. Not yet.” Emphasis on the yet. When I explain how the process works, people are surprised and confused. “I’m the writer. I write the text. Other people design the book,” I say. They usually splutter a bit about creative control. What happens if the publisher chooses an illustrator I don’t like? What if I’m unhappy? Good questions. Of course, I’ve wrestled with the same questions. Could I embrace a literary arranged marriage? Could I trust a stranger with my precious book baby? I think about the people who want to be involved in the creation of a book. Editors. Art directors. The whole book-birthing team. Mostly, I think about illustrators. Eager to usher something of themselves into the world. Waiting for their chance at happiness. Maybe even a match made in heaven. Just like me. I find the prospect of co-creation exhilarating. The thought that my work could bring professional joy to an illustrator keeps my brain buzzing and my fingers tapping. I strive to write visually, to invite the artistic impulse. I leave room in my text for an unknown illustrator’s individuality. I’m thrilled when friends receive their first art samples. They proudly show them around like ultrasounds. “Look!” they say, “look!” Through the hard work of illustration, the dreamed-of and long-awaited book baby becomes real. It has personality. Humor. Wit. Tenderness.